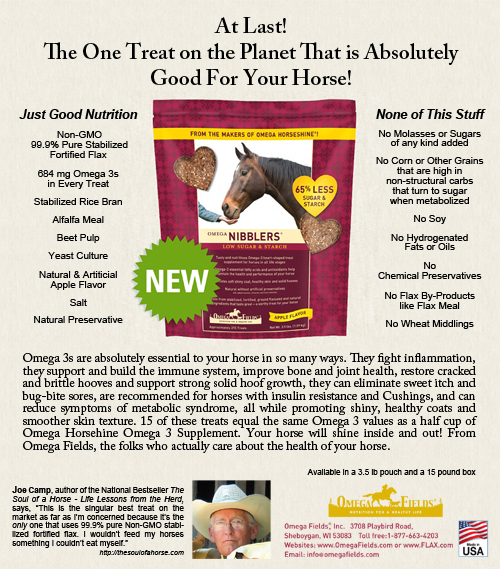 First what is important to remember, is that due to some thermoregulatory factors such as the skin and coat being very good insulators, which prevent heat loss, and the muscles producing heat through their movements, it is far easier for horses to warm up in cold weather than to cool down in hot weather, or to cool down after intensive exercising. Cooling down is more difficult for the horse. 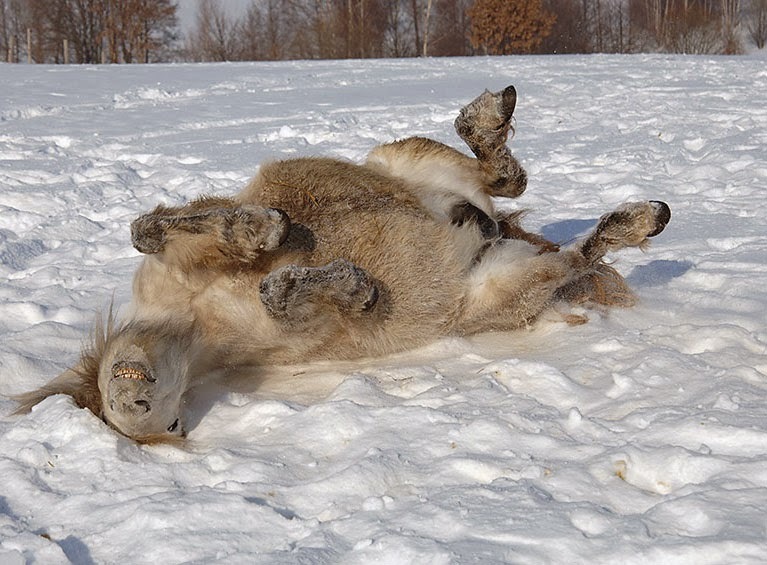 Horses are adapted to handle cold.The horse’s skin is responsible both for protecting the interior of the body from outside temperature changes. As well as for not allowing heat loss in cold weather. Also it needs to be mentioned that the skin is responsible for dissipation of internal heat generated by muscle action to prevent the body from over-heating. The skins’ thermoregulatory mechanisms consist of four major factors, skin, coat, arteries and sweat glands, three of which are responsible for keeping the horse warm in a cold weather: 1. The skin itself works as an insulating layer through its relative thickness. 2. 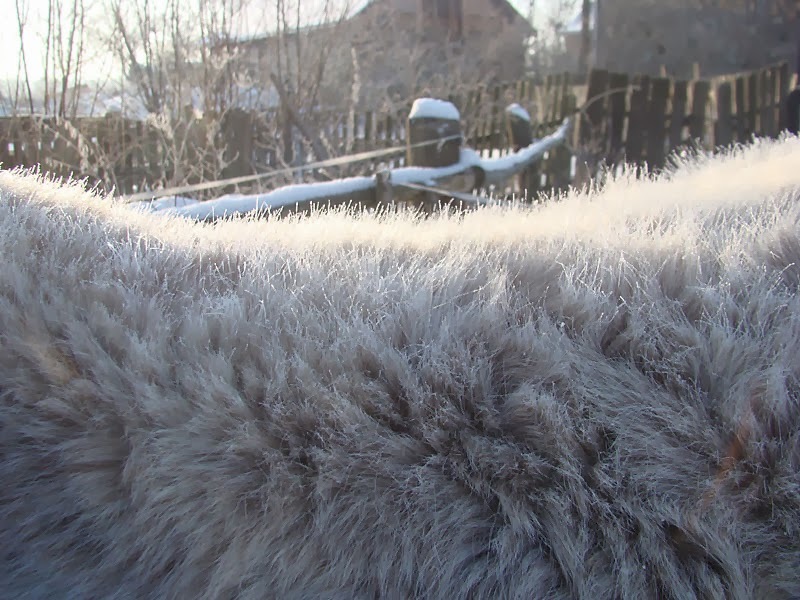 The coat.The coat insulation depends on the depth and thickness of the hair layer, the wind speed and the temperature and humidity gradients within the coat (Ousey et al., 1992). The coat, in horses, changes twice a year through the mechanism called photoperiodism, adapting to different seasonal base temperatures. 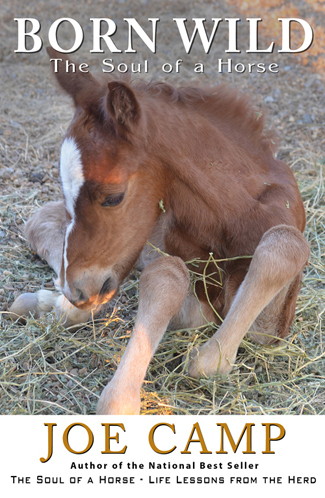 Sensors in the horse’s skin react to the daytime light length changes. The horse is ready to grow their winter coat right after the summer solstice, when days start getting shorter. The horse is ready to change their winter coat to a summer one right after the winter solstice, when days start getting longer. In addition to photoperiod, environmental temperature also affects hair growth. 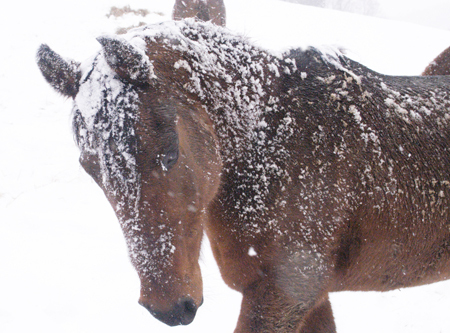 Colder climates produce thicker and longer coats in horses than warmer climates do, when comparing horses who have the same body score and are fed the same amount of food.Also coat growth is affected by some other factors, for example, feeding and horse breed which will be explained later in this text. Additionally to growing its coat, the horse can increase the insulation of the coat through the mechanism called piloerection — raising, lowering or turning in different directions the hair in the coat via hair erector muscles. This way the horse increases or decreases the thickness of the insulation layer and efficiently varies the amount of airflow to the skin surface. Piloerection increases coat depth 10% to 30% in mature horses (Young & Coote, 1973). The hair erector muscles must be exercised regularly in order to work properly, as with any other muscle in the body. 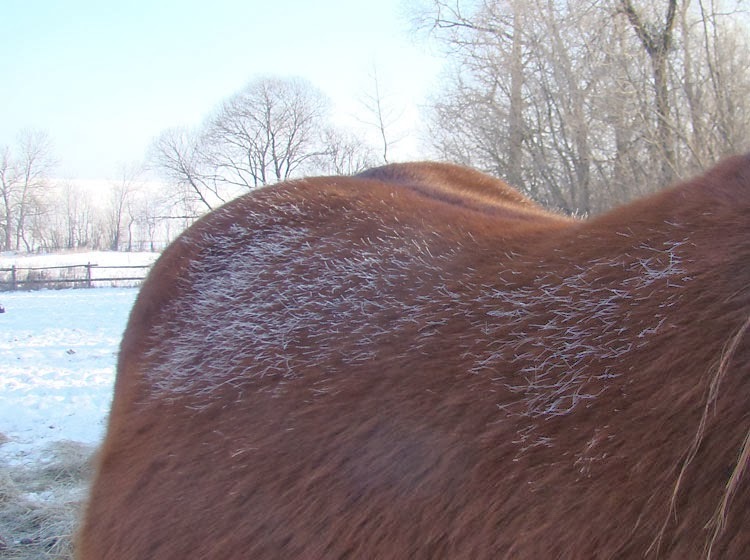 Hairs of the coat are covered with a greasy substance, which helps the horse not to get wet to the skin on rainy or snowy days. The coat has a water-repelling effect through the hair grease — water runs down the outer hair while the deeper coat remains dry. The longer the coat, the less chance water has to get to the skin. Through regular coat brushing the greasy substance gets removed, and the water-repelling effect gets impaired. Not advisable either is to clean off the layer of dirt that rolling in mud ensures a horse. The mud has protective effects to the body. Needless to say that the popular practice of clipping the hair of a horse’s coat eliminates, completely, the thermoregulatory factor of the coat. 3. Arteries in the skin.Arteries through muscle actions, called vasoconstriction or vasodilation, can be narrowed or enlarged, regulating blood flow to the skin. Constricting prevents internal heat loss by reducing the amount of warm blood brought to the cooler body surface. Dilation allows for a larger amount of hot blood from over-heated interiors to reach the body surface and to be cooled. The cooled blood lowers internal body temperature when it’s returned back to the interior of the body. 4. Sweat glands. The horse uses sweat glands to cool down at a time when external or internal temperatures are too hot. When the outside temperature is too high for the air to cool the blood through the skin, the sweat glands secrete fluid. Evaporation of this fluid cools the skin surface and the blood in the surface arteries. In this way, bringing the cooled blood to the internal body, the temperature internally can be lowered even when it is hot outside. The horse stops secreting sweat as soon as the internal body temperature has reached it’s norm. Then it must dry quickly, since otherwise cooling would continue and bring body temperature below normal limits. A sweaty horse turns its coat hairs in various directions in order to avoid under-cooling and given freedom usually seeks a windy spot to effectively fast and safely dry itself. Mentioning the sweat glands mechanism is important because sweat glands are also brought into function through muscle action. To recap: Species appropriate living conditions. No blankets. And grass hay available 24/7. Around the clock. And what a story it is as two novices without a clue stumble and bumble their way through the learning process so that hopefully you won’t have to. 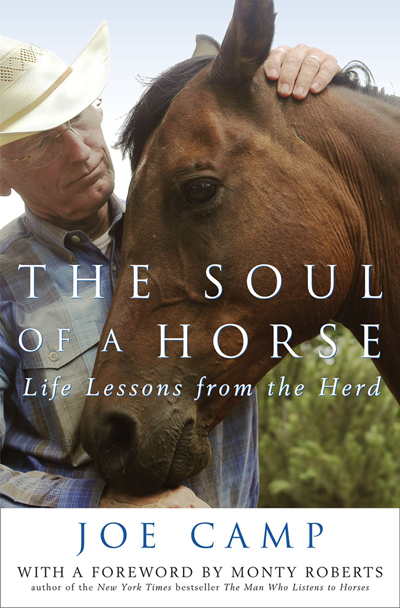 If you haven’t read both of these books already please do because with that reading, we believe, will come not just the knowledge of discovery but the passion and the excitement to cause you to commit to your journey with horses, to do for the horse without waiver so that your relationship and experience will be with loving, happy and healthy horses who are willing partners and who never stop trying for you. Horses like ours.